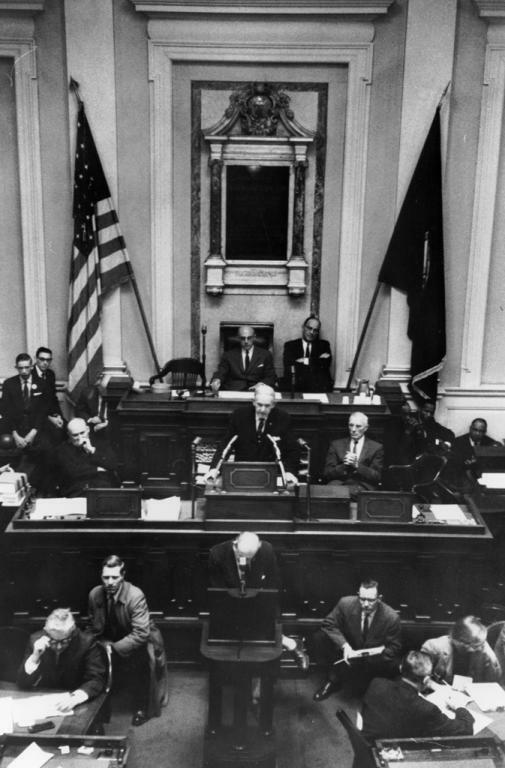 After Virginia's school-closing law was ruled unconstitutional in January 1959, the General Assembly repealed the compulsory school attendance law and made the operation of public schools a local option for the state's counties and cities. Schools that had been closed in Front Royal, Norfolk, and Charlottesville reopened because citizens there preferred integrated schools to none at all. It was not so in Prince Edward County. Ordered on May 1, 1959, to integrate its schools, the county instead closed its entire public school system. The Prince Edward Foundation created a series of private schools to educate the county's white children. These schools were supported by tuition grants from the state and tax credits from the county. Prince Edward Academy became the prototype for all-white private schools formed to protest school integration. No provision was made for educating the county's black children. Some got schooling with relatives in nearby communities or at makeshift schools in church basements. Others were educated out of state by groups such as the Society of Friends. In 1963–64, the Prince Edward Free School picked up some of the slack. But some pupils missed part or all of their education for five years. Edward R. Murrow, the famous radio and television journalist, presented the program "The Lost Class of '59" on the CBS television network. It caused national indignation. Nonetheless, not until 1964, when the U.S. Supreme Court outlawed Virginia's tuition grants to private education, did Prince Edward County reopen its schools, on an integrated basis. This event marked the real end of Massive Resistance. Frank D. Reeves, Henry L.